WASHINGTON (Reuters) - The European Central Bank will keep its monetary policy as accommodative as necessary for as long as needed to reach its inflation target, French central bank governor Francois Villeroy de Galhau said on Thursday. 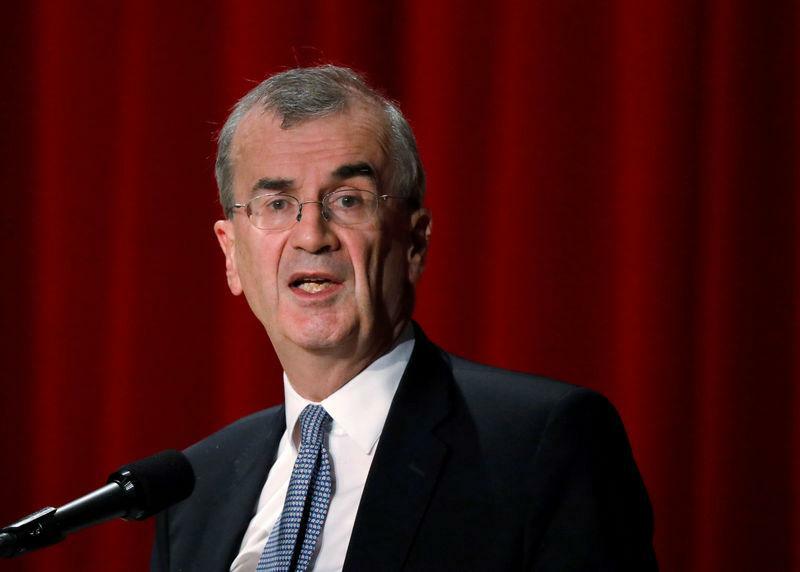 Speaking at an event in Washington on the sidelines of the annual meetings of the International Monetary Fund and the World Bank, Villeroy de Galhau said the euro zone economy was now slowing, but would not be in recession. "We confirmed our monetary commitment that we are ready to keep policy accommodative for as much and as long as necessary to reach our inflation target." He also reiterated the ECB would study the possibility of introducing tiered deposit rates for banks to limit the negative effect the current negative rate has on banks.